Vlad the Impaler (Vlad Tepes in Romanian) was descended from Basarab the Great, a fourteenth-century prince who is credited with having founded the state of Wallachia, part of present-day Romania. The most famous of the early Basarabs was Vlad's grandfather, Mircea cel Batrin (Mircea the Old). As Wallachian "voivode" (a word of Slavic origin, used in Romania for the leader of a principality, a war-lord, or a supreme chief), Mircea was prominent for his struggles against the Ottoman Empire and his attempts to exclude permanent Turkish settlement on Wallachian lands. Mircea died in 1418 and left behind a number of illegitimate children. As there were no clear rules of succession in Wallachia (the council of "boyars" had the power to select as voivode any son of a ruling prince), Mircea's death led to conflict between his illegitimate son Vlad (Vlad the Impaler's father) and Dan, the son of one of Mircea's brothers. This was the beginning of the Draculesti-Danesti feud that was to play a major role in the history of fifteenth-century Wallachia. In 1431, the year in which Vlad the Impaler may have been born (not confirmed), his father Vlad was stationed in Sighisoara as a military commander with responsibility for guarding the mountain passes from Transylvania into Wallachia from enemy incursion. In 1431, the senior Vlad was summoned to Nuremberg by Sigismund, the Holy Roman Emperor, to receive a unique honor. He was one of a number of princes and vassals initiated by the Emperor into the Order of the Dragon, an institution, similar to other chivalric orders of the time, modelled on the Order of St George. It was created in 1408 by Sigismund and his queen Barbara Cilli mainly for the purpose of gaining protection for the royal family; it also required its initiates to defend Christianity and to do battle against its enemies, principally the Turks. As an indication of his pride in the Order, Vlad took on the nickname "Dracul." (The Wallachian word "dracul" was derived from the Latin "draco" meaning "the dragon.") The sobriquet adopted by the younger Vlad ("Dracula" indicating "son of Dracul" or "son of the Dragon"), also had a positive connotation. In Romanian history, Vlad is usually referred to as "Tepes" (pronounced Tse-pesh). This name, from the Turkish nickname "kaziklu bey" ("impaling prince"), was used by Ottoman chroniclers of the late fifteenth and early sixteenth centuries because of Vlad's fondness for impalement as a means of execution. The epithet, which echoed the fear that he instilled in his enemies, was embraced in his native country. No evidence exists to suggest that Vlad ever used it in reference to himself. By contrast, the term "Dracula" (or linguistic variations thereof) was used on a number of occasions by Vlad himself in letters and documents that still survive in Romanian museums. We know little about Vlad's early childhood in Sighisoara. His mother was apparently Cneajna, of a Moldavian princely family. He was the second of three sons; his brothers were Mircea and Radu. The family remained in Sighisoara until 1436 when Vlad Dracul moved to Targoviste to become voivode of Wallachia. Here, young Vlad was educated at court, with training that was appropriate for knighthood. But his father's political actions were to have major consequences for him and his younger brother Radu. 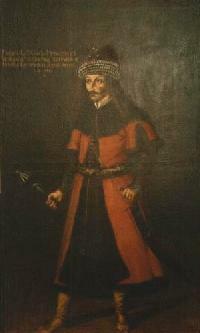 On the death of Sigismund, Vlad Dracul ranged from pro-Turkish policies to neutrality as he considered necessary to protect the interests of Wallachia. To ensure the reliability of Dracul's support, the Sultan required that two of his sons -- Vlad and Radu -- be held in Turkey as guarantees that he would actively support Turkish interests. The two boys may have spent up to six years under this precarious arrangement. Young Vlad would have been about eleven years old at the time of the internment, while Radu would have been about seven. It appears that they were held for part of the time at the fortress of Egregoz, located in western Anatolia, and later moved to Sultan Murad's court at Adrianople. The younger brother Radu, a handsome lad who attracted the attention of the future sultan, fared better than Vlad, a factor that helps explain the bitter hatred and rivalry that developed between the brothers later. Apparently, no serious physical harm came to the boys during these years of captivity, though the psychological impact on Vlad is difficult to assess. After their subsequent release in 1448, Radu chose to remain in Turkey. But Vlad returned to Wallachia to find that his father had been assassinated and his older brother Mircea buried alive by the nobles of Târgoviste who had supported a rival claimant. Vlad was voivode for three separate periods, totalling about seven years. Not too much is known of his first brief period of rule (in 1448). This reign was short-lived, and Vlad spent the next eight years plotting his return to power. Finally in 1456 he was successful and ruled for the next six years, the period about which most is known. After major battles against the Turks in 1462, he escaped across the mountains into Transylvania and was held as a prisoner by the Hungarian king Matthias Corvinus until the mid-1470s. His recovery of the throne for a third time in 1476 was brief, for he was killed in battle during the subsequent winter. Though Vlad was to reign for less than seven years, his reputation throughout Europe was widespread. There are several primary sources of information, which offer a variety of representations, from Vlad as a cruel, even psychopathic tyrant to Vlad as a hero who put the needs of his country above all else. Consequently, it is a virtually impossible task to reconstruct his political and military activities with certainty. The most influential in establishing his notoriety throughout Europe, were the German sources, dating from as early as 1463 (while Vlad was still alive). The most popular were several pamphlets that began to appear late in the fifteenth century and which were widely circulated because of the recent invention of the printing press. Indeed, some of the earliest secular texts to roll off the presses were horror stories about Vlad Dracula. Written in German and published at major centres such as Nuremburg, Bamberg, and Strassburg, these had such unsavory titles as The Frightening and Truly Extraordinary Story of a Wicked Blood-drinking Tyrant Called Prince Dracula. Researchers have discovered at least thirteen of these pamphlets dating from 1488 to 1521. The printers of the Dracula tales also included woodcut portraits of the prince and, in some cases, illustrations of his atrocities. Other historical documents include Russian sources, notably one which presented not only the cruel side of Vlad's behavior but also his sense of justice and his determination to restore order. Turkish chronicles, not surprisingly, emphasize the horrors that Dracula inflicted on his enemies, especially during the battles of 1461-62. By contrast there are the Romanian oral narratives, still preserved in the villages near the ruins of Vlad Dracula's fortress on the Arges River. Here we find a very different Vlad: a prince who repeatedly defended his homeland from the Turks at a time when just about every other principality in the region had been subjected to Ottoman rule; and a leader who succeeded in maintaining law and order in what were indeed lawless and disorderly times. All of these sources are biased. In the case of the German reports, the German Saxons of Transylvania were victims of inccursions by Vlad into what was an independent state and the imposition of his harsh economic measures. One could hardly expect then to be objective informants. The Turkish chroniclers are hardly any more objective, downplaying Vlad's military successes and stressing their own demonstrations of bravery and cunning. Russian narratives were generally more unbiased. The Romanian narratives, by contrast, present a very different Vlad: a folk hero who endeavored to save his people not only from the invading Turks but from the treacherous boyars. Vlad's immediate priority when he regained his throne in 1456 was to consolidate his position in Wallachia. He was determined to break the political power of the boyars (nobles) who tended to support puppet (and often weak) leaders who would protect their interests. Such a policy, Vlad realized, worked against the development of a strong nation-state. A related internal problem that faced Vlad was the continuous threat from rival claimants to the throne, all of whom were descendants of Mircea cel Batrin. Coupled with his determination to consolidate his own power was his extreme view of law and order. He did not hesitate to inflict the punishment of impalement on anyone who committed a crime, large or small. On the economic front, he was determined to break the hold that the Saxon merchants of southern Transylvania (especially Brasov) had on trade. Not only were these merchants ignoring customs duties, they were also supporting rival claimants to his throne. "He [the Sultan] marched on for about five kilometers when he saw his men impaled; the Sultan's army came across a field with stakes, about three kilometers long and one kilometer wide. And there were large stakes on which they could see the impaled bodies of men, women, and children, about twenty thousand of them, as they said; quite a spectacle for the Turks and the Sultan himself! The Sultan, in wonder, kept saying that he could not conquer the country of a man who could do such terrible and unnatural things, and put his power and his subjects to such use. He also used to say that this man who did such things would be worthy of more. And the other Turks, seeing so many people impaled, were scared out of their wits. There were babies clinging to their mothers on the stakes, and birds had made nests in their breasts." The Sultan withdrew. But the war was not over. Mehmed threw his support behind Vlad's brother Radu, who with the support of defecting boyars and Turkish soldiers, pursued Vlad all the way to his mountain fortress at Poenari. According to oral legends that survive to this day in the village of Aref, near the fortress, Vlad was able to escape into Transylvania with the help of local villagers. But he was soon arrested near Brasov by Matthias Corvinus, who had chosen to throw his support behind Radu, Vlad's successor. Corvinus used as evidence letters supposedly written by Vlad that indicated he was a traitor to the Christian cause and was plotting to support the Turks; Romanian historians concur that these letters were forgeries and part of a larger campaign to discredit Vlad and justify Corvinus's actions. Vlad is best known today in the West for the many cruel actions that have been attributed to him. Even his most ardent defenders will concede that he took drastic measures to achieve his political, economic and military objectives. Most of these occurred during the period 1456-1462. One of his earliest actions was taken against the nobles of Tirgoviste whom he held responsible for the deaths of his father and brother. According to an early Romanian chronicle, in the spring of 1457, Vlad invited the nobles and their families to an Easter feast. After his guests had finished their meal, Vlad's soldiers surrounded them, rounded up the able-bodied and marched them fifty miles up the Arges River to Poenari, where they were forced to build his mountain fortress. His prisoners labored under very difficult conditions for many months. Those who survived the gruelling ordeal were impaled. "He had some of his people buried naked up to the navel and had them shot at. He also had some roasted and flayed. "He captured the young Dan [of the rival Danesti clan] and had a grave dug for him and had a funeral service held according to Christian custom and beheaded him beside the grave. "He had a large pot made and boards with holes fastened over it and had people's heads shoved through there and imprisoned them in this. And he had the pot filled with water and a big fire made under the pot and thus let the people cry out pitiably until they were boiled quite to death. "He devised dreadful, frightful, unspeakable torments, such as impaling together mothers and children nursing at their breasts so that the children kicked convulsively at their mothers' breasts until dead. In like manner he cut open mothers' breasts and stuffed their children's heads through and thus impaled both. "He had all kinds of people impaled sideways: Christians, Jews, heathens, so that they moved and twitched and whimpered in confusion a long time like frogs. "About three hundred gypsies came into his country. Then he selected the best three of them and had them roasted; these the others had to eat." "Dracula was very concerned that all his subjects work and contribute to the common welfare. He once noticed that the poor, vagrants, beggars and cripples had become very numerous in his land. Consequently, he issued an invitation to all the poor and sick in Wallachia to come to Târgoviste for a great feast, claiming that no one should go hungry in his land. As the poor and crippled arrived in the city they were ushered into a great hall where a fabulous feast was prepared for them. The princes guests ate and drank late into the night, when Dracula himself made an appearance. 'What else do you desire? Do you want to be without cares, lacking nothing in this world,' asked the prince. When they responded positively Dracula ordered the hall boarded up and set on fire. None escaped the flames. Dracula explained his action to the boyars by claiming that he did this, 'in order that they represent no further burden to others so that no one will be poor in my realm." "Some Italian ambassadors were sent to him. When they came to him they bowed and removed their hats and they kept on the berets beneath them. Then he asked them why they did not take their caps off, too. They said it was their custom, and they did not even remove them for the Emperor. Dracula said, 'I wish to reinforce this for you.' He immediately had their caps nailed firmly on their heads so that their caps would not fall off and their custom would remain. Thus he reinforced it." In other versions, the ambassadors are Turkish and the caps are turbans. But the essence of the story remains the same. "Dracula so hated evil in his land that if someone stole, lied or committed some injustice, he was not likely to stay alive. Whether he was a nobleman, or a priest or a monk or a common man, and even if he had great wealth, he could not escape death if he were dishonest. And he was so feared that the peasants say that in a certain place, near the source of the river, there was a fountain; at this fountain at the source of this river, there came many travelers from many lands and all these people came to drink at the fountain because the water was cool and sweet. Dracula had purposely put this fountain in a deserted place, and set a cup wonderfully wrought in gold and whoever wished to drink it from this gold cup and had to put it back in its place. And so long as this cup was there no one dared steal it." "In the year 1460, on the morning of St Bartholomew's Day, Dracula came through the forest with his servants and had all the Wallachians of both sexes tracked down, as people say outside the village of Humilasch [Amlas], and he was able to bring so many together that he let them get piled up in a bunch and he cut them up like cabbage with swords, sabers and knives; as for their chaplain and the others whom he did not kill there, he led them back home and had them impaled. And he had the village completely burned up with their goods and it is said that there were more than 30,000 men." But the incident that was to cause the greatest damage to his reputation took place in Brasov. When the local merchants refused to pay taxes in spite of repeated warnings, in 1459 Dracula led an assault on Brasov, burned an entire suburb, and impaled numerous captives on Timpa Hill. The scene has been immortalized in an especially gruesome woodcut which appeared as the frontispiece in a pamphlet printed in Nuremberg in 1499. It depicts Vlad having a meal while impaled victims are dying around him. As he eats, his henchmen are hacking off limbs of other victims right next to his table. The narrative begins as follows: "Here begins a very cruel frightening story about a wild bloodthirsty man Prince Dracula. How he impaled people and roasted them and boiled their heads in a kettle and skinned people and hacked them to pieces like cabbage. He also roasted the children of mothers and they had to eat the children themselves. And many other horrible things are written in this tract and in the land he ruled." A similar woodcut appeared the following year (Strasbourg) with the caption, "Here occurred a frightening and shocking history about the wild berserker Prince Dracula." Whether the accounts were accurate or not, Vlad's evil reputation was assured. In spite of such reported atrocities, Vlad Tepes is a significant figure in Romanian history. For one thing, he was one of a number of voivodes who contributed to the building of a strong, independent Wallachian state. He stood up against the powerful nobles and assured law and order in what were lawless times. But most of all he is remembered for standing up against the Ottoman Empire, at a time when other principalities around him were falling under Turkish control. He is perceived as something of a David facing a Goliath. As for the brutality of his punishments, his defenders point out that his actions were no more cruel than those of several other late-medieval or early-Renaissance European rulers such as Louis XI of France, Ferdinand of Naples, Cesare Borgia of Italy, and Ivan the Terrible of Russia. "My grandfather used to tell me that during the reign of Vlad the Impaler, Romanians paid tribute to the Turks in exchange for peace. This tax included one to two hundred young people a year to serve in the mercenary corps of the Turkish army. Some of these lads came from the village of Aref. Vlad the Impaler decided to put a stop to it. The mighty Sultan, on hearing that Vlad refused to pay tribute, sent an army to capture him alive and bring him to Turkey. When the Turkish army crossed the Danube, Vlad retreated through this village to his fortress. When he arrived at Castle Poenari, he sent word to the village asking the elders for advice. Vlad told the elders, 'The Turks have surrounded this fortress and I want you to take me across the border into Transylvania, by morning.' One of the elders who was an iron smith said, 'I have a plan. Let us reverse the shoes of the horses so that when we leave the fortress and the Turks come, they will think we have entered when we have actually gone away' So they reversed the shoes and escaped through a secret passage, and crossed the Carpathian Mountains into Transylvania. When they reached the border, Vlad asked how he could compensate them for their loyalty. The elders of Aref replied, 'Your Highness, give us not gold or silver because these can be spent. Give us land because the land is fertile and will keep us alive for all time.' So he asked for a rabbit skin and wrote on it, 'I give you, the elders of Aref, fourteen mountains and nine sheepfolds which you will have forever.' And we still have a couple of the mountains from that time. And as children, listening to our grandfather, we rejoiced at how Vlad fooled the Turks." The villagers keep these stories alive to this day. Less than two months into his final reign (probably near the end of December, 1476) Vlad was killed in battle in a forest just north of Bucharest. The circumstances are unclear. A Russian source claims that he was mistaken by one of his own men for a Turk and consequently killed. More likely is that he was attacked by a rival claimant, Basarab Laiota (who succeeded him as voivode), and killed by a hired assassin. One story goes that he was beheaded, and his head was taken back to the Sultan in Constantinople and displayed as a trophy. Tradition has it that his body was taken by monks to the Snagov Monastery and buried there close to the altar, in recognition of the fact that he had supplied funds for the rebuilding of the monastery years earlier. However, excavations on the site during the early 1930s failed to uncover a burial site. Where are his remains? Some suggest that he was buried elsewhere on the monastery site where indeed remains were found but have since disappeared. Others contend he is buried near the altar, but at a greater depth than was excavated. Yet others suggest he may have been interred in a different monastery altogether. We may never know. "It is said that Vlad the Impaler had a kind and humble wife with a heart of gold. Whenever Vlad took his sword and led his army into battle, his wife's heart grew sad. One night a strange thing happened. An arrow entered through one of the windows of the fortress and put out a candle in their bedroom. Striking a light, she discovered a letter in the point of the arrow which said that the fortress was surrounded by the Turks. Approaching the window she saw many flickering fires in the valley. Thinking that all was lost, and without waiting for her husband's decision, she climbed up on the wall of the fortress and threw herself into the Arges River." This cannot be verified through historical documents. We do know that Vlad later married Ilona Szilagy, who was related to Matthias Corvinus, the king of Hungary who had placed Vlad under arrest following his escape from Wallachia in 1462. It appears that Corvinus made an arrangement with Vlad to restore him to his throne. To strengthen the bond, Vlad was offered a royal bride. After his death, Vlad's wife was left with his three sons. Mihnea, the eldest, was from his union with the Transylvanian noblewoman. He had two sons by his Hungarian wife -- Vlad, and a second whose name is unknown. Only Mihnea succeeded in gaining the Wallachian throne. During his brief rule from 1508-1509, he showed signs that he could be as atrocious as his infamous father; nicknamed "Mihnea the Bad," he is reputed to have cut off the noses and lips of his political enemies. He was assassinated in 1510 on the steps of a church in Sibiu. According to genealogical research conducted by historians Radu Florescu and Raymond McNally (published in their 1989 book Dracula: Prince of Many Faces), the Romanian male line died out in 1632. As for the Hungarian lineage, the last male descendant died late in the sixteenth century, though a female line can be traced for an additional hundred years. As for indirect descendants, it has been verified that Professor Constantin Balaceanu-Stolnici of Bucharest is descended from Vlad Dracula's half-brother, Vlad the Monk. According to researchers at the Institute of Genealogy of the Romanian Academy, other claims are unsubstantiated.